Public hearings began in Hartford on March 7 regarding H. B. 6262, An Act Concerning the Community Investment Account. Dairy farmers, representatives from the Audubon Society, the Connecticut State Grange, the Sierra Club and the Connecticut Housing Coalition and others testified in support of the bill. The Community Investment Act is scheduled to sunset on July 1, 2011. The program provides money to correct a complicated federal milk pricing formula that Connecticut farmers claim does not take into account the high cost of producing milk in the state. Higher energy costs and higher feed costs make it difficult for Connecticut dairy farmers to compete with farms in the southwest and western parts of the country. The dairy industry contributes more than $1 billion to the state's economy and has created several thousand jobs as well. Vern Bahler from Oakridge Farms says that, with corn prices nearly doubling and milk prices softening, Connecticut dairy farmers need some state support. He believes that the milk pricing formula needs to be fixed on the national level, but until it is, CIA should remain in place. 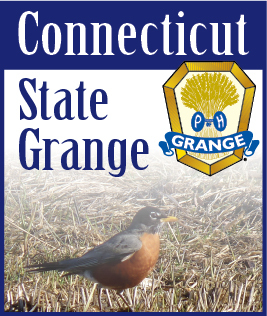 For more information go to cga.ct.gov.